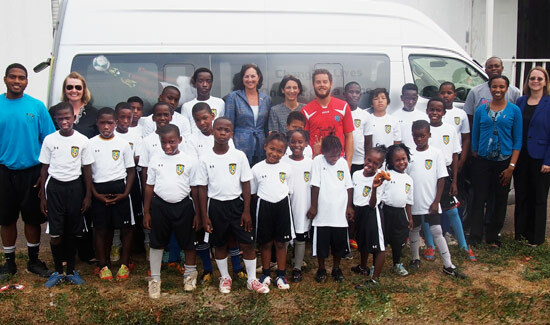 On March 23, U.S. Chargé d’Affaires Lisa Johnson visited Gambier Village in New Providence to mark the delivery of a 15-passenger van to Youth Empowerment through Soccer International (YESI) in The Bahamas. Ms. Johnson was accompanied by Bureau for International Narcotics and Law Enforcement Affairs (INL) Deputy Director for Western Hemisphere Programs Susan Snyder and the U.S. Embassy’s INL Section. 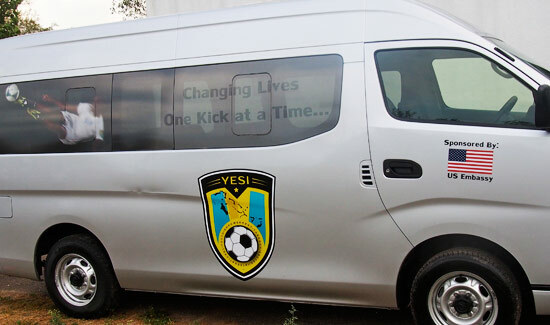 The van, which will allow YESI to transport youth to and from its afterschool, weekend, and summer programs, was provided to YESI with funding from the Caribbean Basin Security Initiative. During the visit, Chargé Johnson toured the Gambier Village facility that provides specialized tutoring services taught by local high school students, and visited the practice field where YESI conducts its extensive youth soccer program. She also met with YESI participants who explained what the organization had taught them about leadership, teamwork and participation, and spoke with coaches about YESI’s work to empower young Bahamian soccer players to complete their education, say no to drugs and crime, and have a voice in the future of their communities. 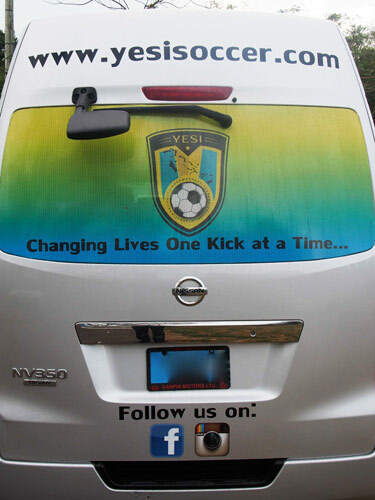 Photo 1 and 2: Photos of the 15-passenger van donated to Youth Empowerment through Soccer International (YESI) in The Bahamas by U.S. Embassy Nassau. Photo 3: U.S. Chargé d’Affaires Lisa Johnson accompanied by Bureau for International Narcotics and Law Enforcement Affairs (INL) Deputy Director for Western Hemisphere Programs Susan Snyder, the U.S. Embassy’s INL Section and members of the YESI program.